You spend a third of your life sleeping – spend it well with Skye. 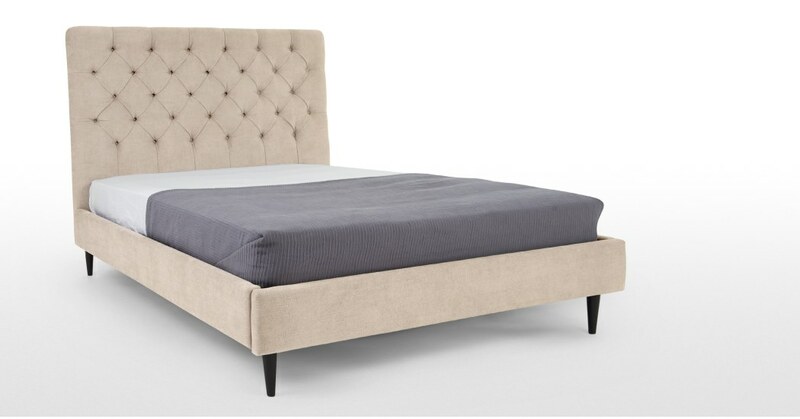 This upholstered bed sets an elegant tone for your bedroom with it’s tall, button-backed headboard and choice of soft-touch linen-mix or plush velvet fabric options. Strapped for space? No worries. Skye’s a compact upholstered bed, so you’ve got a striking look with a smaller footprint. And, we’ve added sprung birch slats for extra comfort and support while you sleep. Skye’s the perfect bed. Now, find the perfect mattress. The One is our clever, multi-layer mattress. Built to regulate temperature and give support for the ultimate night’s sleep. And, it arrives in a compact box – no wrestling up the stairs or around corners required.